Right from the day it was introduced by VMware at VMworld 2012, VSAN has attracted me with at least one thing – Simplicity. At that time, it was amazing to see the storage getting enabled in vCenter by just clicking a couple of check boxes. VSAN has seen its supporters and detractors but one thing that everyone agrees on is its simplicity. Simplicity in products can be of varied levels. Every one calls their product simple to manage. No one says that, “My Product is complex to manage”. We can debate if in case of VSAN, the performance and response time that it delivers is good enough or not or if the functionality is on par with the more mature storage solutions out there or if the path to the checkbox in vCenter is simple or not. 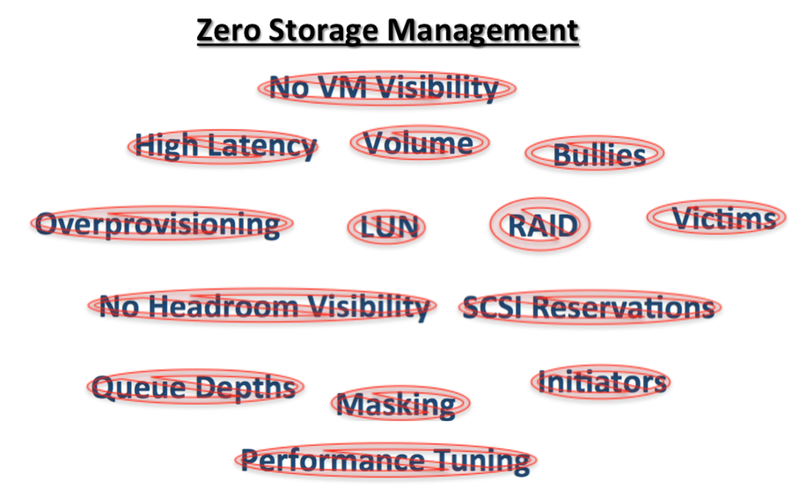 But once there, here is a product that makes Storage Deployment and Management a piece of cake or non-existent. Storage or Infrastructure Management is an inhibitor to the business. If the IT team is spending too much time on infrastructure then they are (in a way) delaying go to market for any business. The focus of the IT team should be in managing and deploying applications because applications generate revenue for the Business and Infrastructure exists only to support applications. Businesses don’t earn money by provisioning LUNs/Volumes or spending time in tuning the storage for applications or troubleshooting performance issues. VMware VSAN also validates the approach Tintri has taken with the VMstore product. VMstore gets installed in 10 minutes (I can vouch for it now). Once installed there is nothing to manage from a storage standpoint. Even the GUI that it has, is more of an analytic software bringing in Infrastructure insight at all layers. The additional advantage is that it is a prepackaged, pre-validated, pre-tested solution that delivers predictable performance at sub-millisecond latency with no guesswork or need for hardware engineering. It delivers the most advanced data services at a VM granularity that don’t impact performance, ensures fair share of performance to all the VMs and works with your existing servers across multiple hypervisors. I think Application-Centric Infrastructure and ability to deliver Zero Management at Infrastructure layer is the future of IT. Since any time spent on managing the infrastructure is added to the time for Go to Market of any business and therefore to the time before it starts making money, the customers should give special consideration to any product that reduces or eliminates the time a product requires from a management standpoint. This entry was posted in Tintri, VMware, VSAN and tagged Management, Simplicity, Tintri, VMstore, VMware, VSAN by Satinder Sharma. Bookmark the permalink.